PCDS depends on the engagement of our community. From the Annual Fund, to Tax Credits, to capital campaigns, the support of PCDS families, alumni and faculty & staff strengthens the school as an educational leader now and for generations to come. 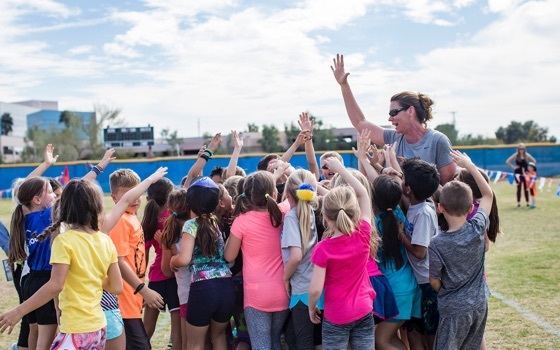 The Annual Fund is the backbone of philanthropy at PCDS, and provides vital resources that bridge the gap between tuition and the actual cost of a PCDS education. Similar to other independent schools, PCDS relies on gifts to the Annual Fund to maintain its standards of excellence. Gifts to the Annual Fund are put to immediate use to support programs in academics, arts, athletics, technology, faculty and staff salaries, and professional development. Each year, parents, grandparents, alumni, parents of alumni, faculty, staff, and friends of PCDS are asked to make a meaningful, tax-deductible gift to the Annual Fund. Total support is much more important that the amount of each contribution; participation is key – any and every dollar amount counts. 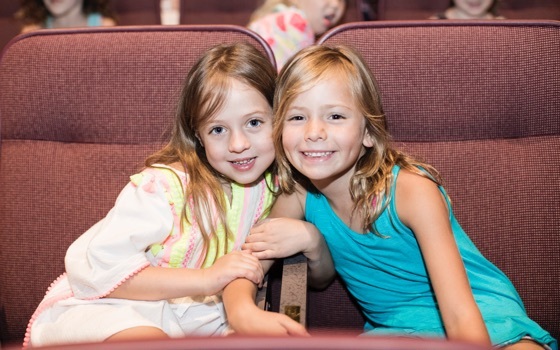 Annual Fund gifts directly impact PCDS students, faculty, programs, and the campus by providing faculty enrichment, technology upgrades, arts programs, off-campus experiences, and need-based scholarships. Annual Fund Gifts also subsidize athletics and extracurricular activities and programs. Last year, 100% of PCDS’s faculty and staff gave to the Annual Fund, as did 100% of Trustees, 100% of the Alumni Board, and 77% of current parents. Each year’s goal is to continue to increase participation from the PCDS community. The Annual Fund impacts every student and every teacher, every day! 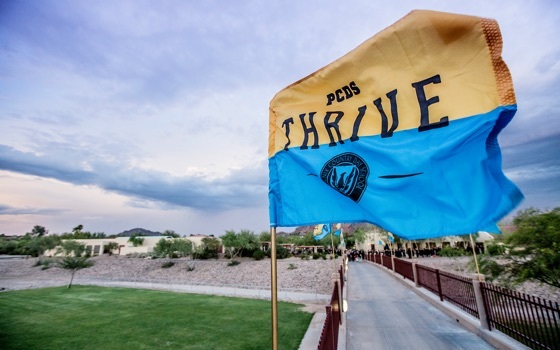 Each year, PCDS provides over 170 scholarships to its students, thanks to the generous support of both Arizona Individual and Corporate Tax Credit contributions. Nearly one in four PCDS students receive a need-based financial aid scholarship, and many of those scholarships are funded by Tax Credit contributions. Tax credits are no-cost contributions — contributors get every dollar back. The Arizona Private School Individual Tax Credit Program allows Arizona residents – single and married filers – to voice where their tax dollars go by redirecting a portion of their Arizona tax obligation to support need-based scholarships to PCDS through a Student Tuition Organization (STO). Arizona Independent Schools Scholarship Foundation (AISSF) is PCDS's preferred STO. Contributors, in turn, receive a dollar-for-dollar tax credit against their Arizona income taxes. Similar to the Individual Tax Credit, the Low-Income Corporate Tax Credit Scholarship Program also funds tuition for students, but for students of very highest financial need. Corporate Tax Credit contributions are made by corporations, rather than by individual filers. By making a Corporate Tax Credit contribution, S and C corporations with Arizona tax liability can fund scholarships for students of highest financial need who need them most, simply by redirecting the taxes they owe and would otherwise pay to the state. PCDS is committed to financially supporting all Corporate Tax Credit Scholarship students throughout their entire PCDS careers – whether they start in kindergarten or ninth grade. Thus, PCDS works throughout the year to recruit corporate contributors who are willing to redirect their Arizona tax liability to STOs, who then distribute the funds as scholarships to PCDS students who meet the Low-Income Corporate Tax Credit Scholarship eligibility requirements. Individuals and companies that make Arizona Tax Credit contributions give a lifelong gift of education to each scholarship recipient. Funding need-based scholarships opens doors for students that might never have been opened. Tax Credit funded scholarships enable the most highly deserving and financially challenged students to attend PCDS. As a leader in the education community, PCDS is committed to maintaining the highest level of all types of diversity, including socio-economic, thus deepening the culture of the school community and providing access to its superior educational services to qualified students whose families have very limited means. Each and every one of these scholarship-funded students uniquely contributes to the multifaceted, rich, socially responsible, and socially conscious community that is PCDS. In October 2017, PCDS officially closed its transformative THRIVE capital campaign. When the campaign launched in 2014, the School set out its goals to transform the key athletic, academic, and administrative spaces on campus. The initial target for fundraising: $15-20 million over five years— a number that would shatter past records for campaigns at PCDS. After its launch at the Blue + Gold Celebration in October 2014, THRIVE became a rallying cry among students, parents, alumni, faculty and staff. As construction costs adjusted over the course of the projects, THRIVE officially raised $24.6M from over 200 donor families— making it the largest campaign in school history, both in dollars and donors. The rollout of each new space made an immediate impact in student and school life: First, the Dady Aquatic & Tennis Center opened— a world-class facility in which state and national swimming records have since fallen, and a State Champions title has been earned by our varsity swim team. Next, the Najafi Gymnasium and Garvin Family Walk of Champions both decompressed our overly scheduled court space for basketball and volleyball, as well as paid homage to the PCDS Athletic Alumni Hall of Fame. Then, academic facilities received a much needed face-lift, with the creation of the Shin Center for Art, Science & Innovation in the Upper School. There, students do independent research and tackle some of the most challenging interdisciplinary problems facing the world today. Lastly, the Shepard Welcome Center opened to complete the THRIVE campaign, giving the School an appropriate front door through which prospective families, returning alumni, and potential faculty and staff will each enter and understand the core tenets of the PCDS experience. Most importantly, THRIVE has cultivated a culture of philanthropy at PCDS, acknowledging that this is a community in which everyone pulls together in the same direction to make a lasting, positive impact.